Before you can rotate layers in three axes instead of two, you must enable the 3D option in the layer properties. By default, when you create layers in Harmony, you can only move them as flat layers. In the Timeline view, select the layer you want to move in 3D space. In the Layer Properties view select the Transformation tab. 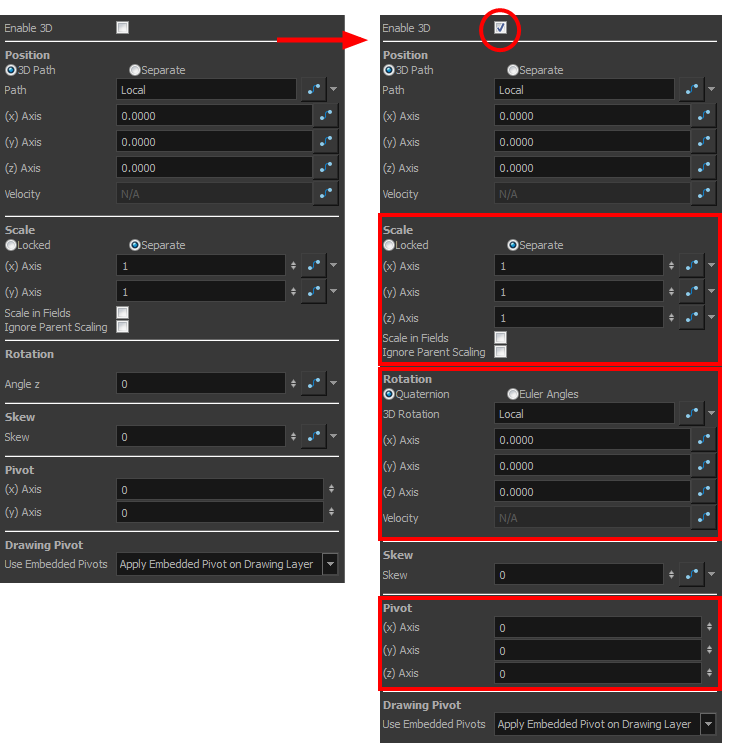 Select the Enable 3D option to display the 3D parameters for that layer. New parameters appear in the Layer Properties window.